Gorgeous earrings, custom pet portraits, literary cookie cutters, Disney-inspired slow cookers, and a whole bunch of other affordable things that will make the perfect Valentine's Day gift. 1. A ceramic mug for the S/O who refuses to watch conspiracy docs, psychological thrillers, or The Blue Planet with you. Why? They'd rather watch the shenangians going on at Dunder Mifflin for the trillionth time. 2. A fishnet-and-lace teddy with a bow-back sure to make you say "hummuna hummuna hummuna" every time you spot it in your intimates drawer. Get it from Amazon for $14.99+ (available in sizes S-XXXL and in six colors). 3. 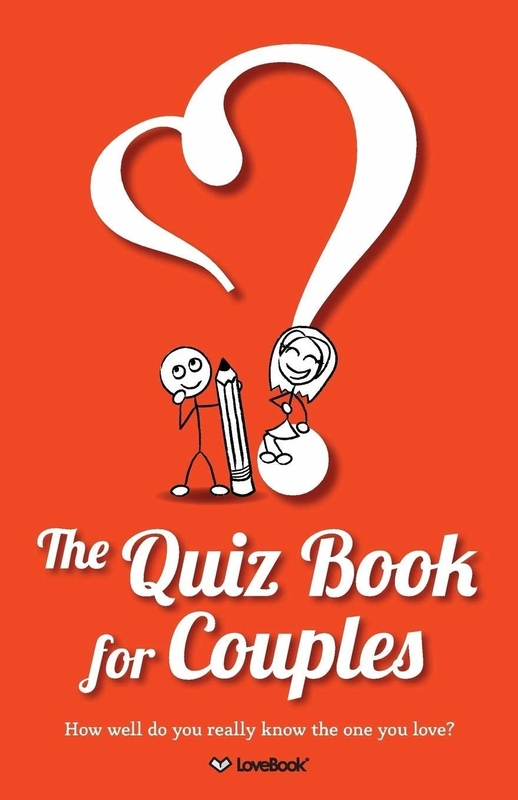 A quiz book complete with questions perfect for any couple, whether you've been married for 20 years or just made it "Facebook official" three seconds ago. 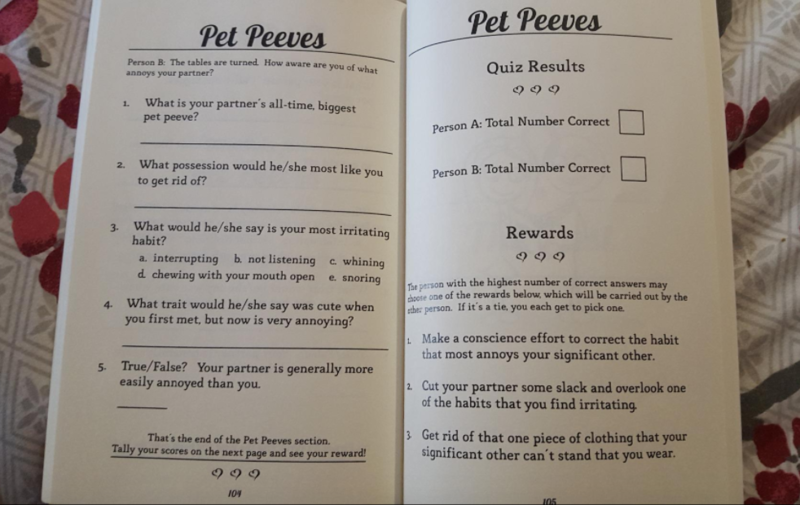 Get ready to discuss everything from pet peeves to weird sleeping positions. 4. A digital custom portrait because who doesn't want an illustrated version of their four-legged friend? Warning: this is the gift of all gifts, and you will never be able to top it. The seller will create the portrait (you have the option of a half- or full-body portrait, and can even add a name) and sent it you via email. 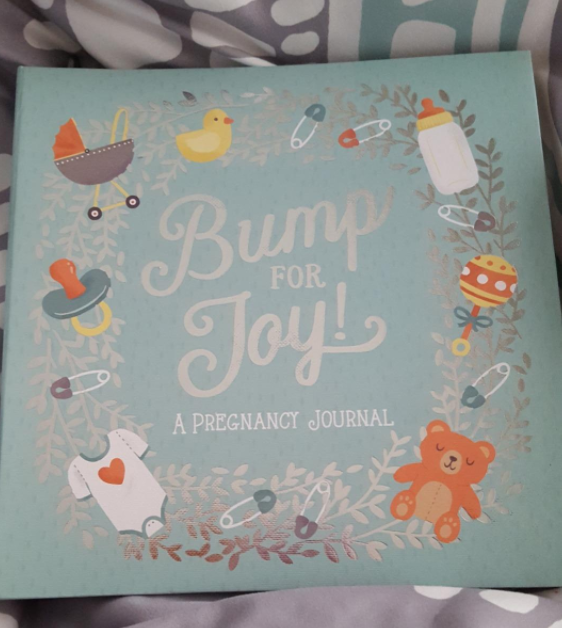 The digital copy can then be printed on computer paper, stickers, a canvas, etc. The options are endless. You can also use this ~one~ gift as a gift for multiple people in your life since you can download it as many times as ya want! Get it from Le Flore Studio on Etsy for $19+. 5. Hypoallergenic stud earrings that can totally pass off as a much more expensive purchase. "You shouldn't have spent so much!" I love you, darling, but I didn't spend much at all. Get them from Amazon for $12.99 (available in two colors). Get them from Marcela Suller on Etsy for $4.25. 7. A stovetop tea kettle made with a heat-resistant glass, a steel mesh filter, and an ergonomic handle for a gift that's both practical and beautiful to look at. Hello, beautiful. This kettle can be used on both gas and electric stoves, can be placed in a microwave, is dishwasher-safe (on the top rack), AND has a two-year warranty. 8. 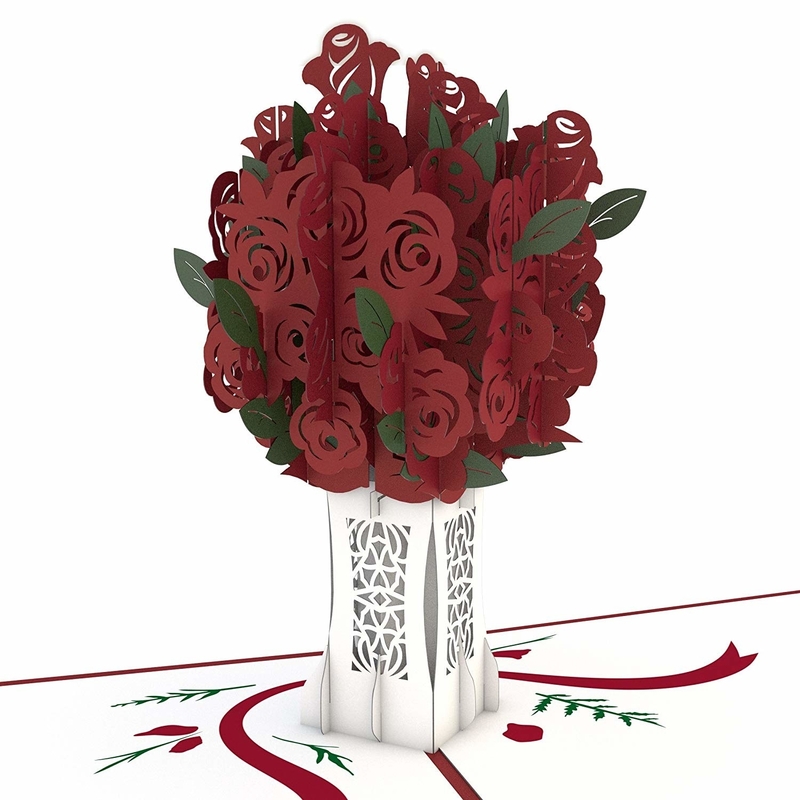 A 3D pop-up card for Star Wars fans and rose bouquet devotees alike. Another plus for the latter card? It won't die in three days. 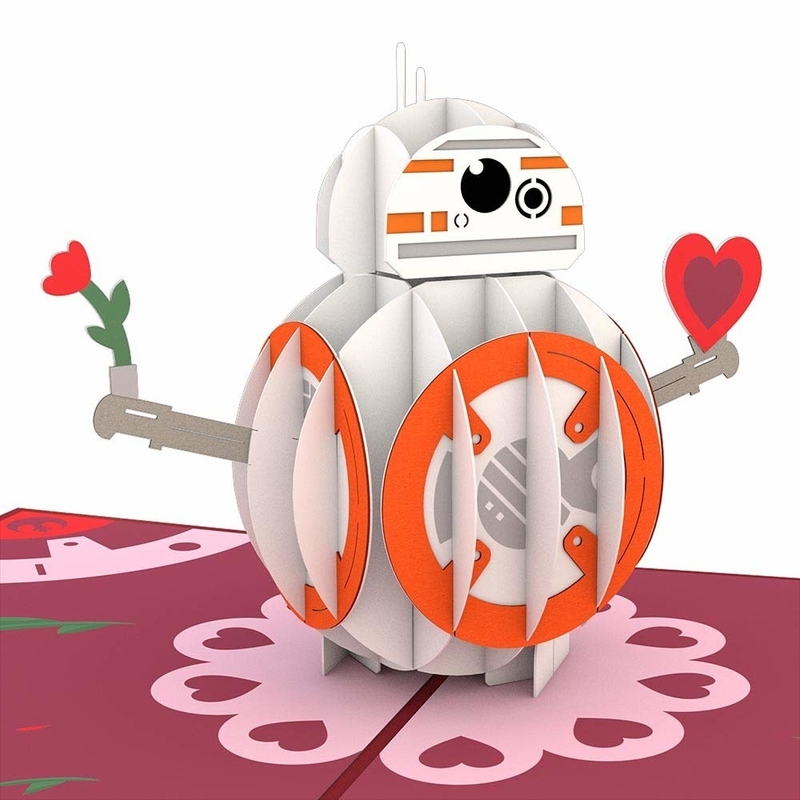 Get them from Amazon for $15 (Star Wars) and $13 (rose bouquet). 9. A gorgeous storage case for alllllll the jewelry currently getting tangled in a random shoe box stuffed into the back of a closet. This is a practical purchase one can even buy for themselves, to themselves. 10. A portkey coaster that works pretty terribly, actually. If you put down a drink, expect to never see it again. It'll probably end up in Diagon Alley or something like that. Get it from Katie Abey Design on Etsy for $4.77. 11. Cooking with Nonna, a cookbook packed with 100 classic Italian recipes. Hoping to whip up a romantic V- Day dinner at home? Here's your answer. Get ready to share spaghetti with bae a la Lady and the Tramp. Promising review: "I've been following Cooking with Nonna on FB for a while and jumped at the chance to get a cookbook. I have already made several of these recipes and they were delicious! I look forward to making many more that I haven't had since my childhood. Family recipes get lost over the years and this is a great opportunity to make favorites. This is a high-quality cookbook with beautiful pictures." —Denise B. 12. Knee-high socks featuring a very friendly sloth that does not look creepy at all. Psst, these babies are available in 14 other styles...including hedgehogs, butterflies, and koalas. Get them from Amazon for $10.99 (available in 14 colors). 13. 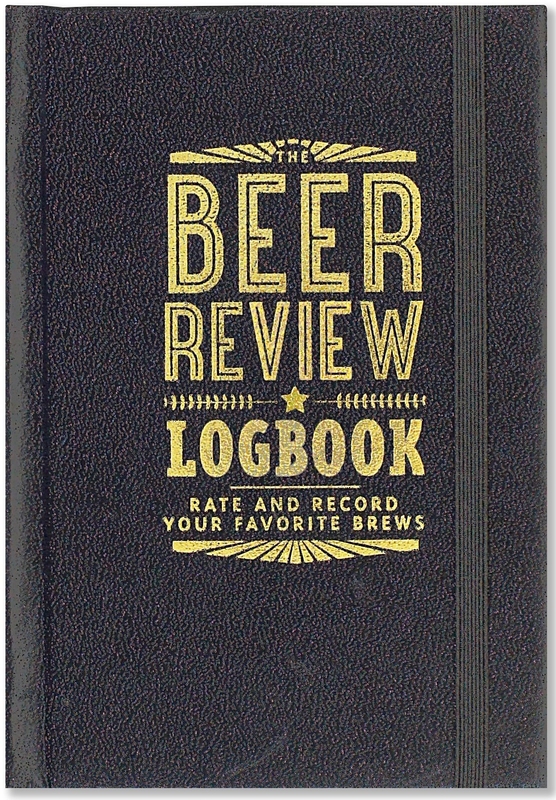 A pocket-sized beer journal that allows one to record the "appearance, aroma, taste, mouthfeel, and overall impressions" of 124 beers. 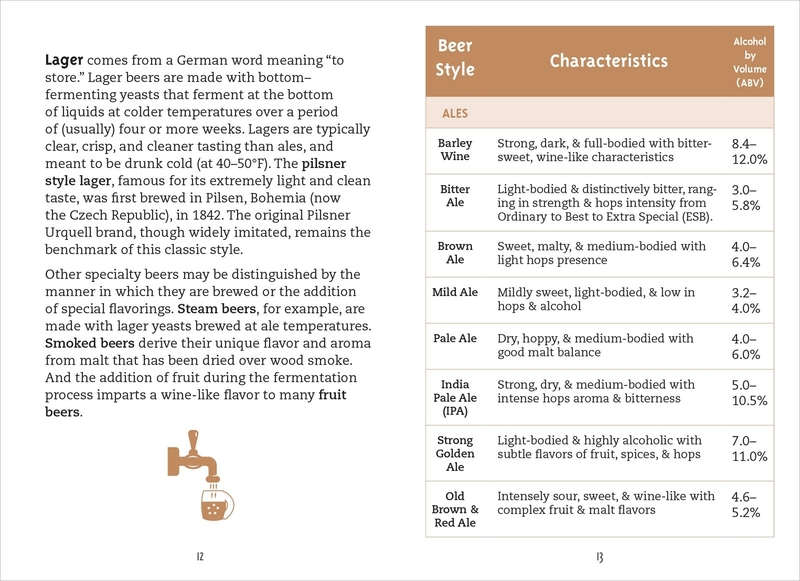 It even includes a handy reference guide and glossary! 14. A cold brew coffee maker to save them a TON of money in the long run. Buying cold brew is hella expensive, and they have yet to win the lottery. Thanks for that, fate. This adorable mason jar makes it super easy to get your cold brew fix in the morning. All you have to do is add coffee and water to the filter (which will filter out ground and keep your coffee tasting smooth), let it brew overnight in your fridge, and BAM! You've got yourself some brew! Plus, this is designed with an easy-pour spout and has an air tight seal that will keep your cold brew fresh for a longer period of time. Promising review: "Best. Buy. Ever! 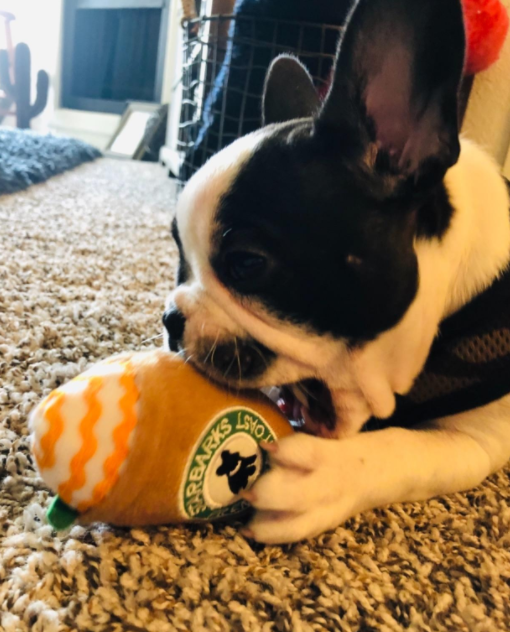 I am in love with my Dunkin' Donuts and Starbucks iced coffee, but not in love with what it costs every time. This has been a life saver and SOOOOO much better than DD or Starbucks. The mesh filter is super sturdy and great quality, my regular coffee works just perfectly, and not a single ground gets through. My iced coffee is usually ready within 12 hours of placing in the fridge, but I have left it up to 24 hours and it is much stronger (and better, in my opinion!). The mason jar is huge and lasts me over the course of a few days." —Joshua R.
15. A Cafe Du Monde kit for anyone craving delicious, nutritious, New Orleans-inspired coffee and beignets. Name a more iconic duo! Oh wait, you can't. Get this set from Amazon for $14.93. 16. 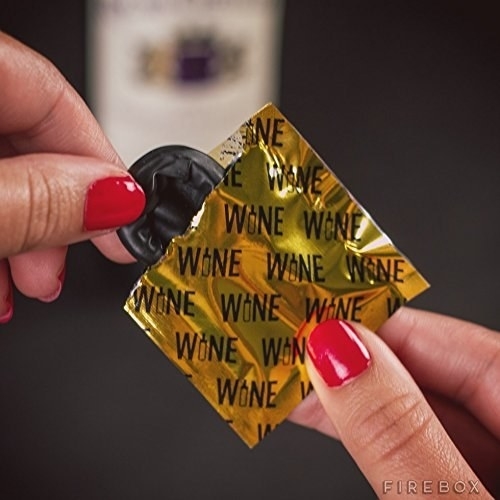 Rubber wine condoms that provide an air- and water-tight seal for your favorite bottle of red. Does this seem like a gag gift? Yes. But does it actually work? Also yes. 18. A choker necklace perfect for people who deserve all of Rihanna's diamonds, but you've yet to win the lottery. Get ready to see your S/O rocking this affordable (but quality) accessory every single day! 19. A stress toy they'll want to squeeze whenever they're having a terrible day and in a bad mood. I guess this is the perfect thing to have when you've got a ~chip~ on your shoulder. Get it from Amazon for $7.62. 20. 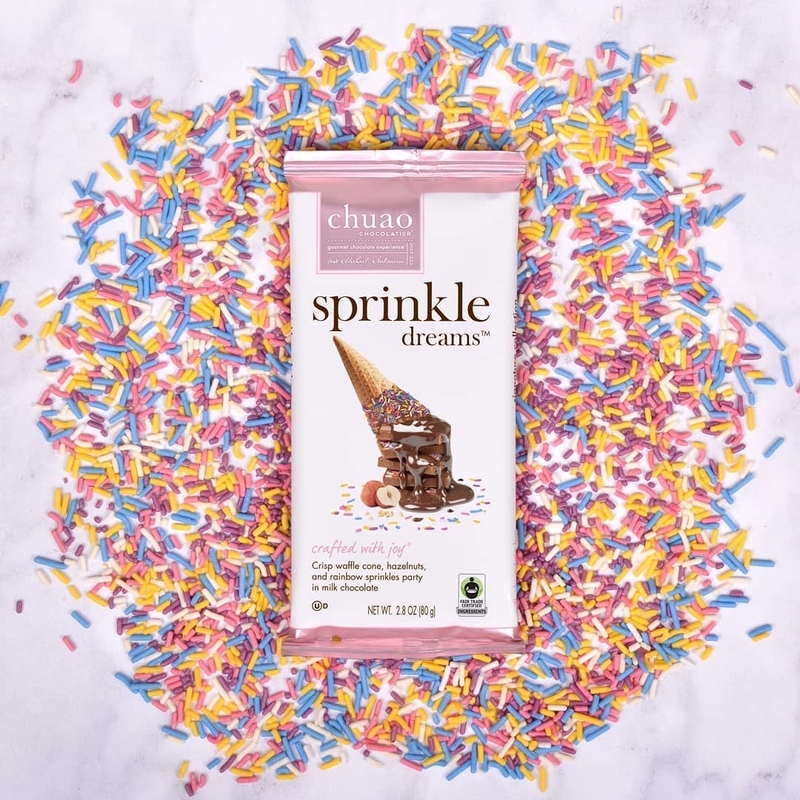 A silicone mold to infuse your ice (or chocolate!) game with some much-needed magic. Dining in The Great Hall? Eh, your kitchen is probably better. 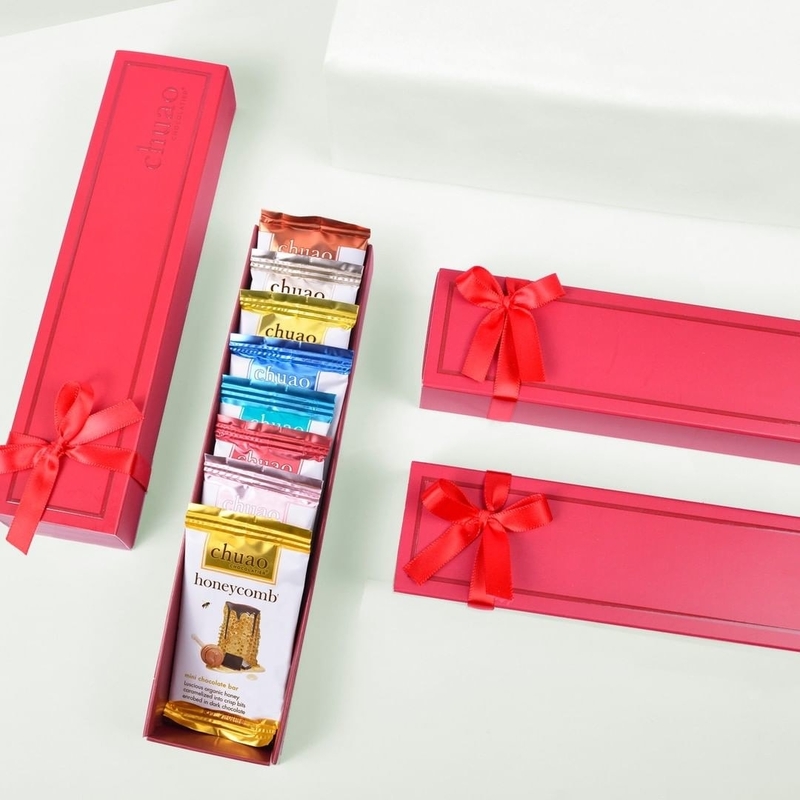 ...potato chip chocolate, spicy chocolate, honeycomb chocolate, croissant-inspired chocolate. All in mini sizes! Get a set of eight from Amazon for $16.95. 22. A mini waffle bowl maker for 🎶 any kind of treat, from both savory to sweet 🎶**. Get ready for ice cream bowls, taco bowls, chicken-and-waffle bowls, and more. This lightweight appliance is super compact, making it the perfect tool for small kitchens with limited countertop space. 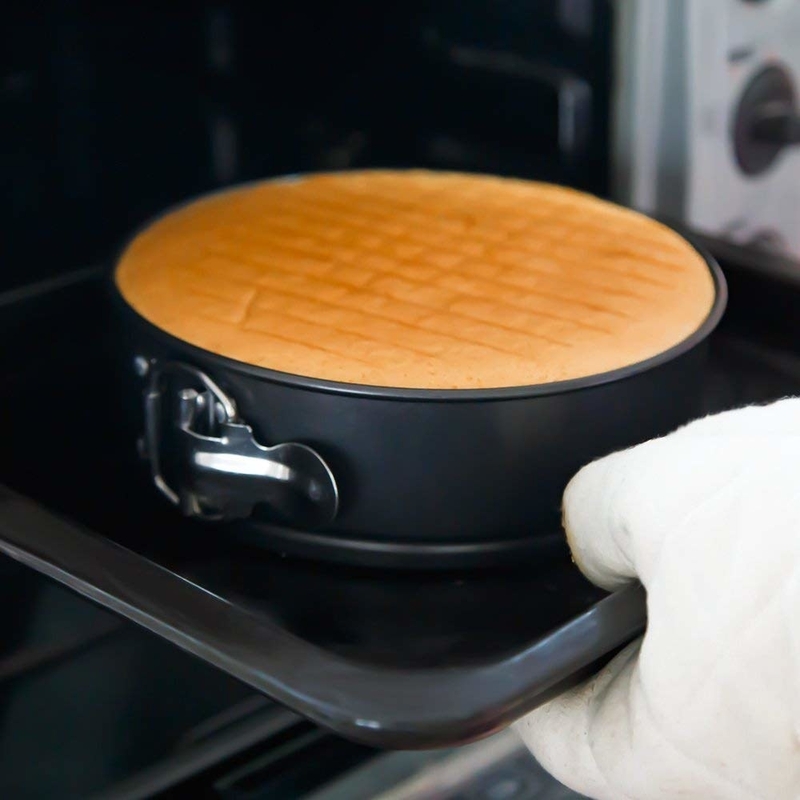 It also has a non-stick surface for hassle-free cleanup, and is able to heat up in mere minutes. **10/10, would make a fantastic jingle. Get it from Amazon for $19.99+ (available in three colors). 23. A 300-piece puzzle you'll want to complete with your favorite travel companion prior to embarking on a country-wide road trip...or if you plan on doing one in the unforeseeable future. Gas for said road trip is expensive, but this puzzle is not. 24. 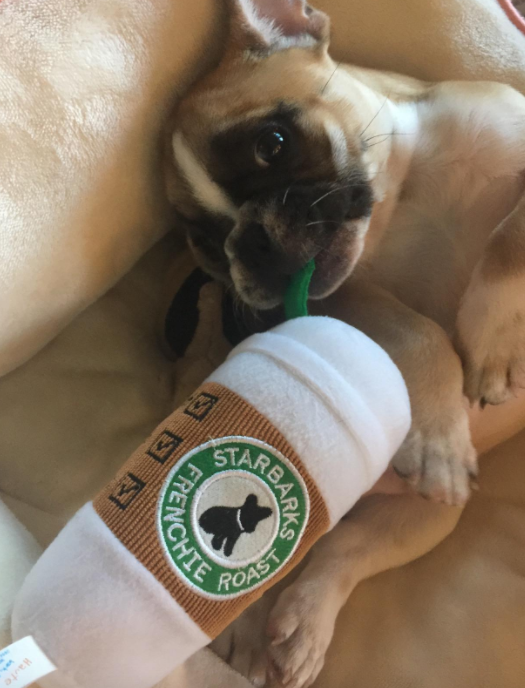 A ~Starbarks~ chew toy for your coffee-obsessed best friend. You know, the one who will ALWAYS be your favorite Valentine, the one you would die for, the one who is your WHOLE WORLD. 25. A guitar pick sure to delight musicians and pun enthusiasts around the globe. Mostly the latter, TBH. "There may be a million fish in the sea, BUT I PICK YOU!" 26. 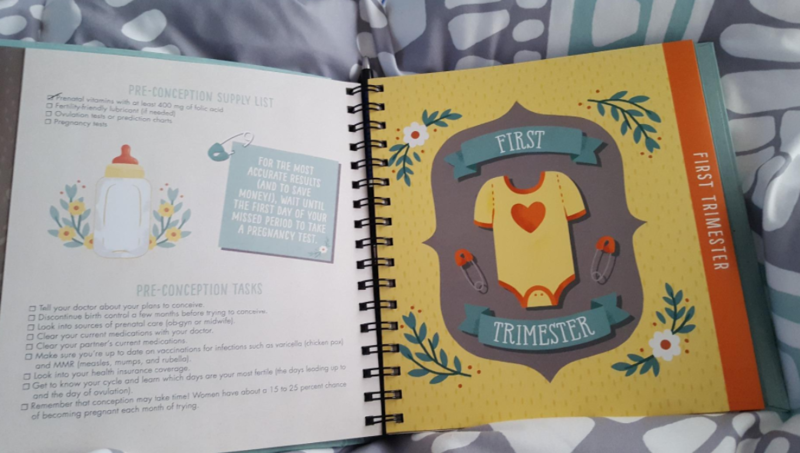 A pregnancy journal (arranged by trimester) packed with checklists and fill-in the blanks for the person that's expecting a new pint-sized BFF. 27. A beard kit perfect for anyone with — SURPRISE! — a beard. Say hello to a pocket-sized brush and bamboo comb duo currently on a mission to make grooming fun. 28. 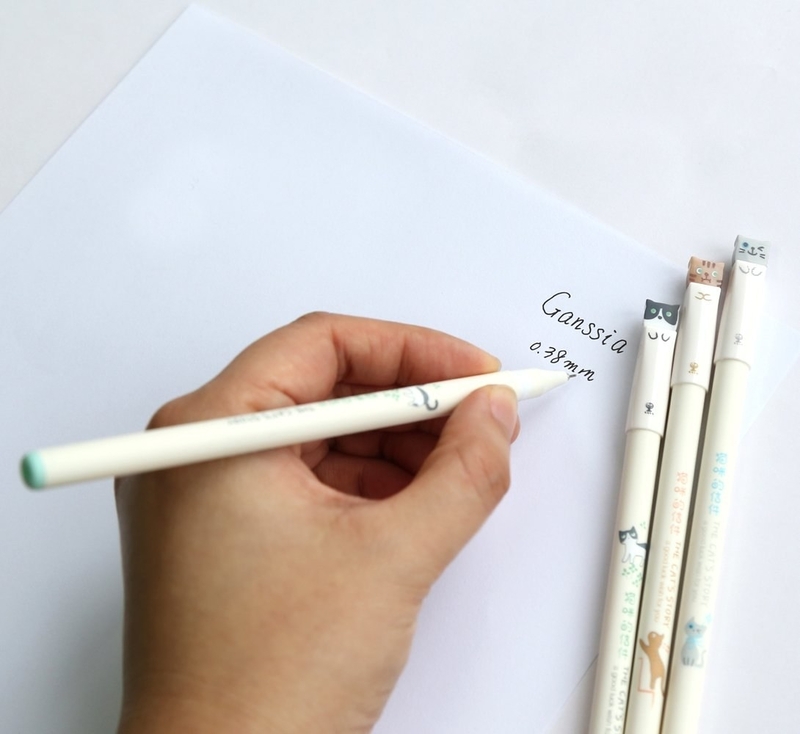 Gel pens that will make a prr-fect addition to their office supplies collection, because it is statistically proven that writing with fun instruments makes work seem 1000x more tolerable. 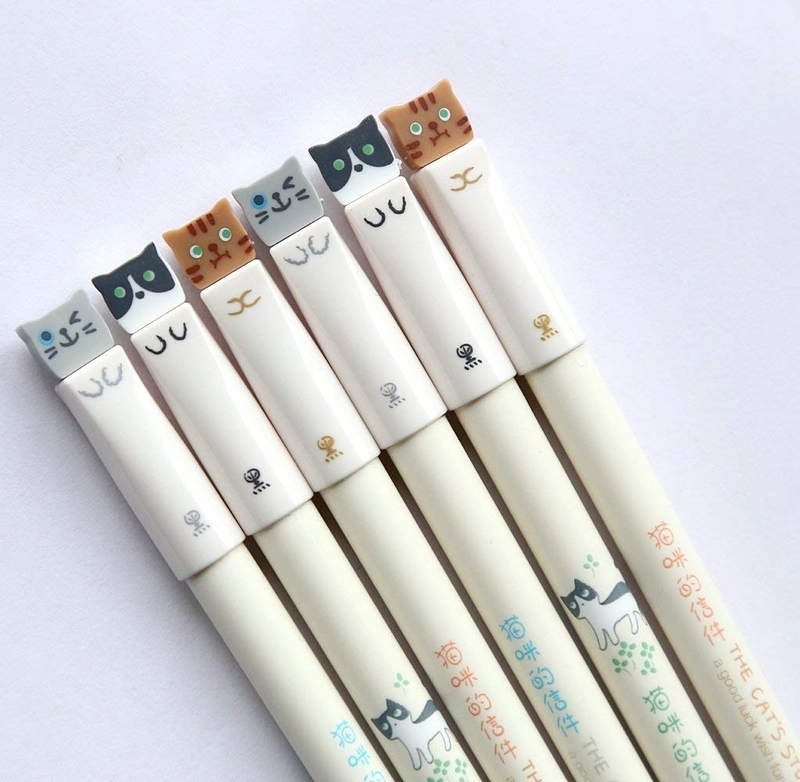 Get a set of six from Amazon for $5.69. 29. A chocolate decadence cake with a fudge-like consistency you'll technically be purchasing for your Valentine, but will you eat at least 1/2 of it? Absolutely. Get it from Harry & David for $19.99. 30. Non-slip socks for the romantic pal you'd go on a wine tour with. Will they know the difference between Cabernet or Merlot? No. 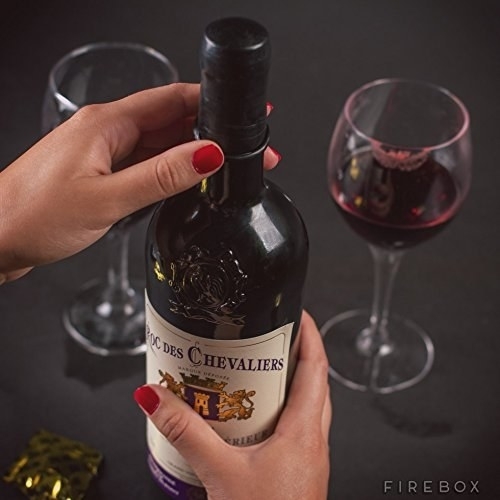 Do they love and appreciate all wine, including ones that are very cheap? Yes. Get them from Amazon for $9.99+ (available in three colors). 31. 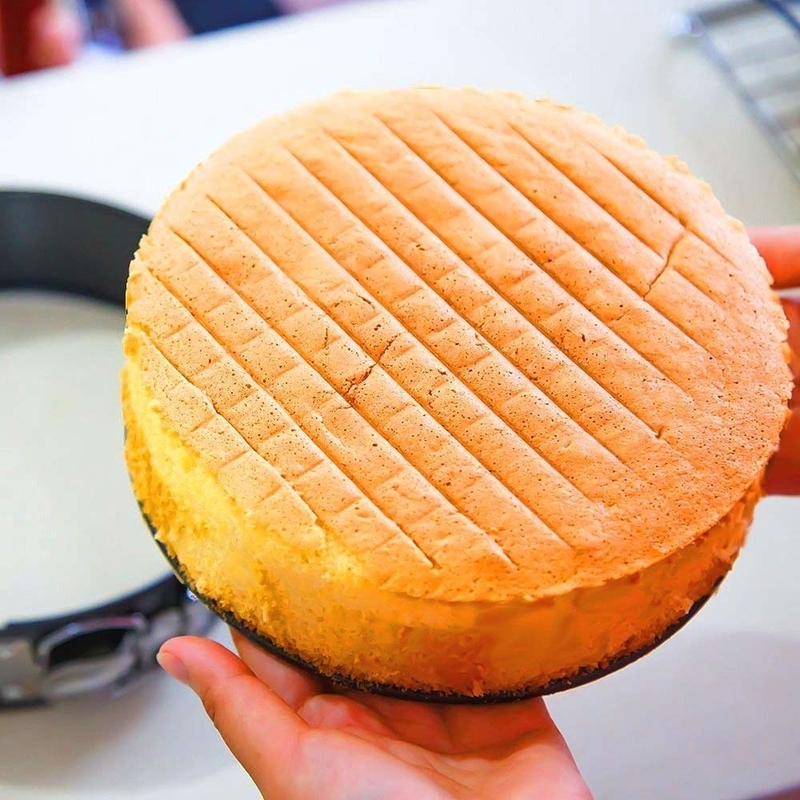 A springform pan so that they, too, can eat one of those beautiful jiggly cheesecakes that the lovely people at Tasty like to torture me with via video. This non-stick pan is perfect for whipping up cheesecake, mousse, quiche, coffee cake, and any other delicious recipe you've found on the internet. It can even be placed inside most pressure cookers, and the buckle can be easily unfastened. 32. Floating shelves because while an at-home library is in their near future (I PROMISE! ), they'll have to currently use every inch of wall space to showcase their rather impressive book collection. Get a pack of four from Amazon for $23.99. 33. 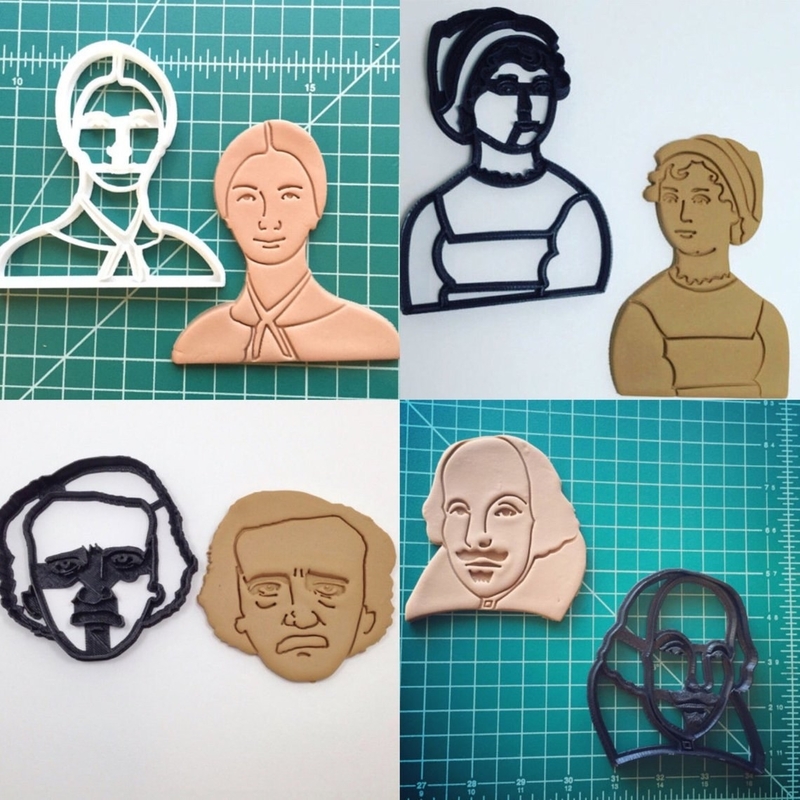 Cookie cutters inspired by your literary faves. 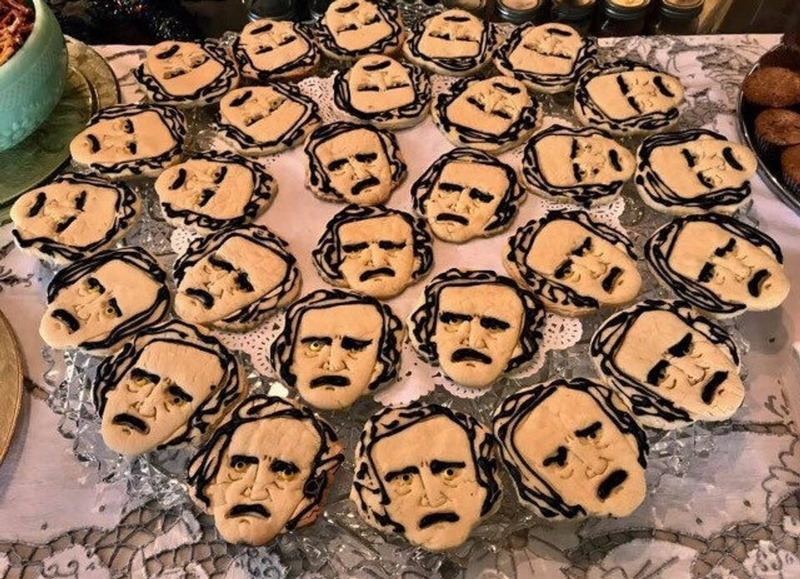 Chomping into a chocolate chip delicacy in the shape of Jane Austen, William Shakespeare, Edgar Allan Poe, or Emily Dickinson? Sweet. Get a set of four BoeTechLLC from on Etsy for $22. 34. A v-neck chemise made from a soft, silky material because lounging at home can absolutely be both comfy AND cute. 35. New York in Color, a gorgeous book featuring photography of the most colorful corners in NYC. This is perfect for the S/O who wanted to move to NYC this year but alas, doesn't have one million dollars (and a spare organ) to pay for a closet-sized apartment. 36. 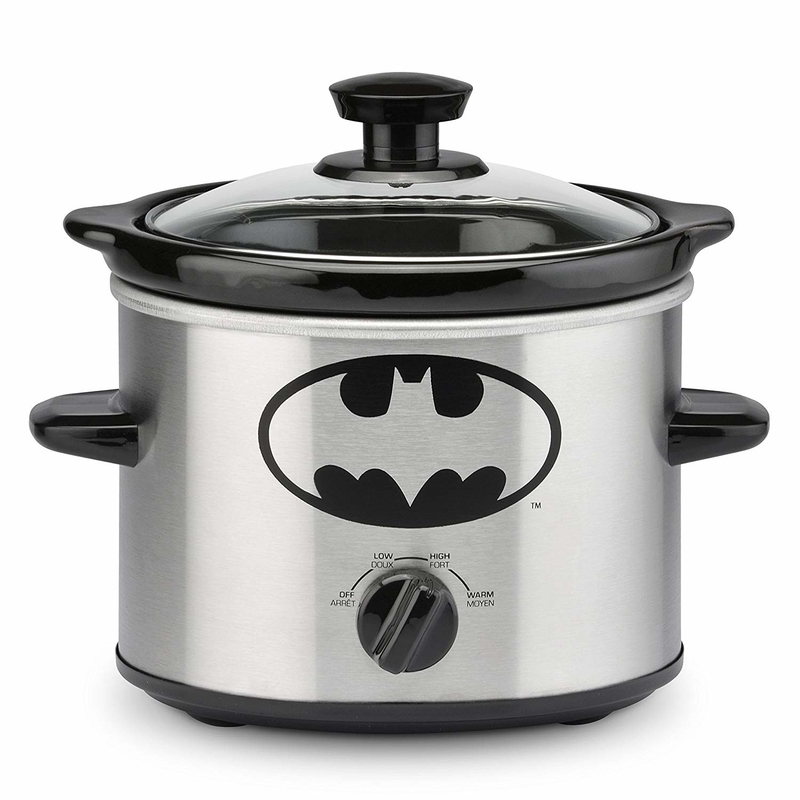 A two-quart slow cooker complete with a tempered glass lid, three different cook settings, and OH YEAH! Fantastic designs! Come hither, my Marvel- and Batman-obsessed friends. 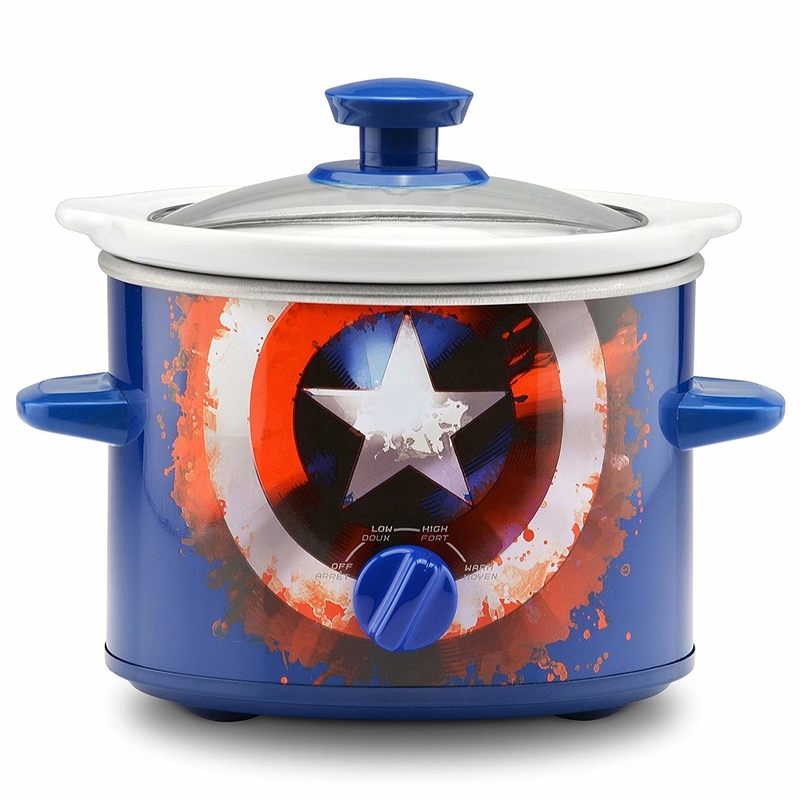 Your kitchenware is about to get exponentially better. Get it from Amazon for $17.63+ (available in sizes four colors). 37. A ceramic mug best paired with a freshly-brewed cup of coffee and (yet another) episode of Law & Order: SVU. Olivia Benson, you are my idol. Not only are these mug adorable, but YES — they're also microwave- and dishwasher-safe. Get it from Amazon for $8.90 (available in five colors). 38. A prompt-filled hardcover journal ideal for movie buffs and aspiring critics. Forget saving those ticket stubs — this book acts as an even better memento.